Can you imagine living in the middle of a city but escaping to miles of greenways lined with trees, animals, and steams? Wake Forest, Raleigh, and Cary are only a few cities that offer this escape to nature just a short distance from city living. Wake Forest greenways were first constructed in 2003 and have been growing ever since. There are about 8 miles of greenways developed currently and they are planning on increasing that to more than 50 miles in the near future. 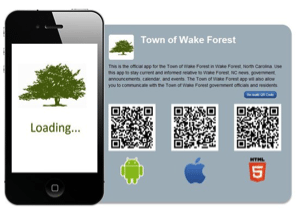 The Town of Wake Forest offers an app that you can explore before exploring their greenways. There are more than 10 trails located all over Wake Forest for your convenience. Just search for “The Town of Wake Forest” on iTunes and you can start planning right away! How to become involved? You can “Adopt a Trail” that assists in clean up, enhance, and maintain the trails. You can also “Adopt a Stream” this allows for you to volunteer and monitor the streams located throughout the greenway system. Check out their website to see how you can give back to nature! Not only does Wake Forest offer greenways you can drive right down Capital Boulevard to the Durant Nature Park, open to the public to explore. You can take a hike through the woods or hang out on their playground. Enjoy a picnic, fishing and enjoy relaxing on one of the docks overlooking the calm waters. This is a treasure hidden down a gravel path way that allows for you, your family and friends some time with nature. There are trails throughout the park that allows you to wade in the stream when you need to take a break on a hot summer day. Or stay cool on the trails with the canopy of branches towering over you. If you are looking to find new greenway trails, Raleigh has greenways that wrap around the city. 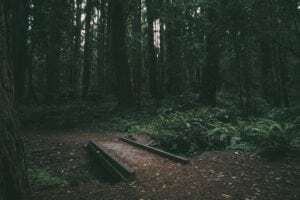 Explore some of the trails that travel under the busiest streets but put you in the middle of nature. You can walk or bike for miles without even having to hear the hustle and bustle the busy city life. Hop on the trail at Crabtree Creek for 14.6 miles beginning at Anderson Square park that takes you to Lindsay Drive. Stop, take a deep breath, and take in the scenery while you enjoy one of the longest greenways Raleigh has to offer. If you are looking for a quick brisk walk, try the Beaver Dam Trail. Starting at Wade Avenue and Devonshire Drive that passes through Windemere Beaver Dam Park. Check out their website on all the trails you can explore as well as how you can volunteer to help maintain the trails. If you want to venture out further into our surrounding communities check out the American Tobacco Trail. 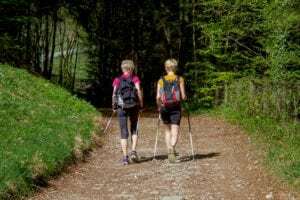 This trail passes through Wake, Chatham, and Durham Counties. 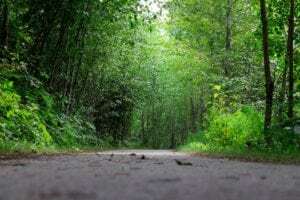 23 miles of woods lining the trail built on a railroad corridor. Occasionally you will see homes, farm fields, and streams throughout the trail. Not only can you run or bike on this trail but you can enjoy other activities such as horse-back riding, skating, roller blading, or bring your leashed pets for a walk. There is one piece missing that crosses over I40 in Durham and is now under construction. Take some time for yourself and enjoy all the nature this community has to offer! Lime Bikes In Wake Forest … What?